I bet you thought when you saw a post for Day 1 that you would be getting a post each day and made plans to boycott my blog for the week. Well that was the plan but things don't always turn out the way you expect for which you are probably extremely grateful. 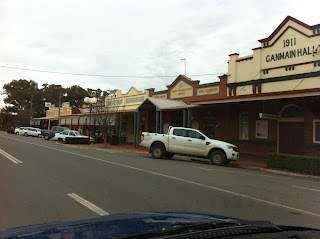 The town we stayed in for the week, Narrandera (my home town), had Internet issues (it is out in the sticks) or perhaps it was my laptop (ancient) or perhaps the blame lays squarely on my non-techy shoulders but i was in the situation of being off air for the week. Lucky You! I could have persisted but who wants to be glued to a laptop when you are staying with your family that you don't see very often. Mum is being held hostage at my sister's house until her operation to make sure that she doesn't do anything. By that i mean, she is being stopped from doing housework, lifting things, cooking and generally making herself a nuisance by being too helpful. There is a ban on falling over and doing anymore damage that might delay surgery. We spent the week all together, talking, playing games, watching movies and enjoying each others company. Just to impress all my readers in the self sufficient, can do everything, category - i helped my niece by sewing 35 plus fabric double sided triangles for vintage bunting. She's planning a fancy party at the races. 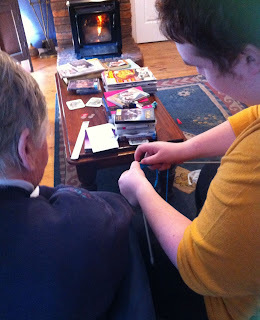 They had their amusement having the city slickers in residence and we enjoyed good country hospitality. Win Win. 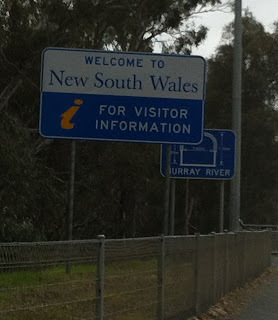 We left Echuca on Monday morning after our fab night and breaky at Charlotte's Cottage and crossed the river into New South Wales. There is a huge rivalry between our two states and I'm torn having been born and raised in one and living in the other. Most of the photos I'm posting were taken through the windscreen. Lucky for us it was replaced two days before we left so they came out OK. 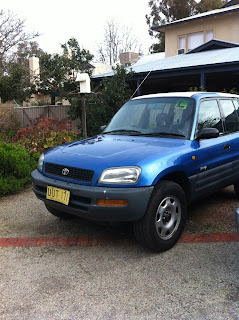 I'm waiting to see if the RACV come up with the money (i do have windscreen insurance) before i post a stern complaint. We will see....... Ive been a member for over 30 years making me a Gold member no less which makes me feel old but also I feel entitled to a good dose of customer service when i need it and i didn't get it. I ended up paying upfront and hoping they pay me back. The days journey to Narrandera is normally an easy 3 hrs trip but poor Tom was restricted to 90km/hr, which practically killed him. 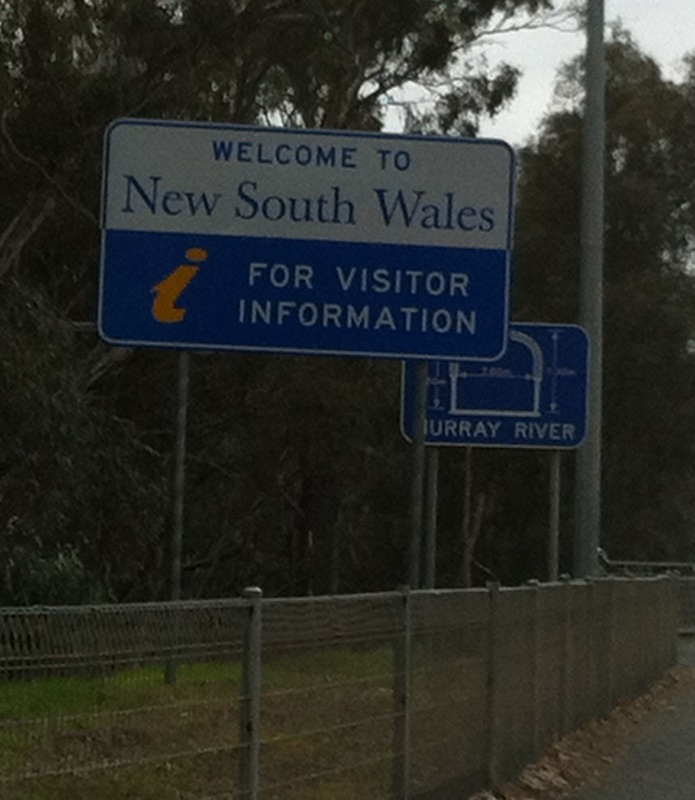 In NSW, learners have speed restrictions which we had to observe. By the end of our trip and having told him to "slow down" seemingly a thousand times, i was wishing we had them in VIC as well. Our route went via Deniliquin, onto Conargo, across to Jerilderie (lunch break) and then North over the plains to Narrandera, about 300 km's. 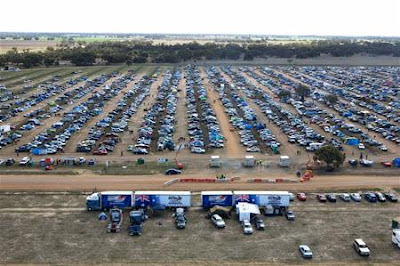 Along the way we passed the site of the The Deni Ute Muster, a uniquely Australian event that is not for the faint hearted. Imagine a gathering of 2839 Utes (A Guinness World Record) on the open plains outside Deniliquin and all that goes on when you get the drivers and tourist (about 5000 patrons) all converging for a long weekend in October for several days of show & shine, competitions, Country Music and outdoor camping all to celebrate Australian's rural identity and it's love of the Ute. There might be just a beer or two around also. This was originally planned as a way to bring in business for a community struggling with drought, unemployment and a downturn in tourism. I think the original volunteers got more than they bargained for. 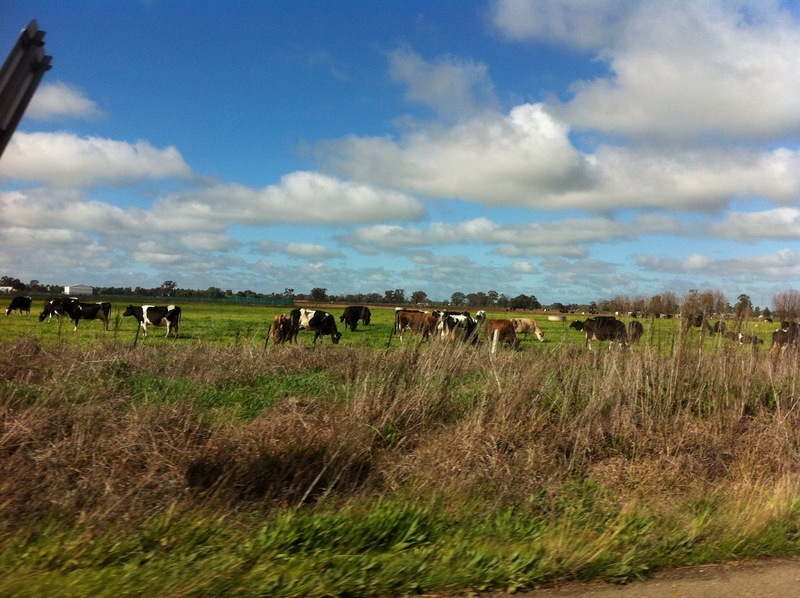 We also passed several tourist stopping points along The Long Paddock. 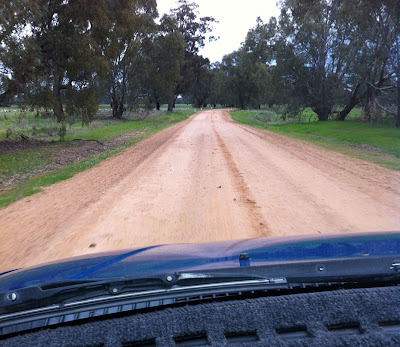 This is a historic stock route along the Cobb Highway (named after the famous Cobb & Co coach company) that follows a trail from Echuca/ Moama to the iconic outback towns of Bourke, Broken Hills and White Cliffs. 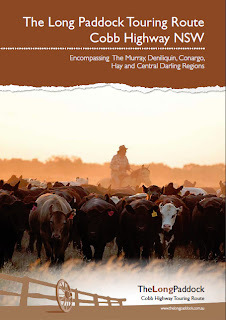 These stock routes were important grazing paddocks during the droughts and i have many memories of drovers camping with their stock on the roads outside our property when i was young. Tom got to experience this first hand as he came across a herd of grazing cattle. The whole point of this trip was to expose Tom to different driving conditions and you certainly don't get much different, for a a city kid, than dodging cattle. Fortunately they stayed where they were until we were safely past before one took off across the road behind us. 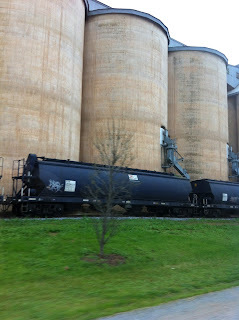 We paused at Conargo long enough to secure the back door that was rattling. This is it folks. Just a pub and a store at the crossroads. 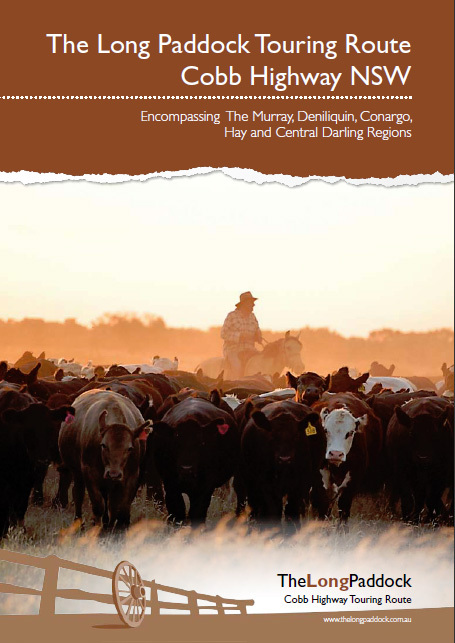 The pub is quite famous for being in the middle of nowhere and gets a surprising number of clientele as every redneck in Oz has a Conargo Pub sticker on the back of their Ute or 4WD truck. 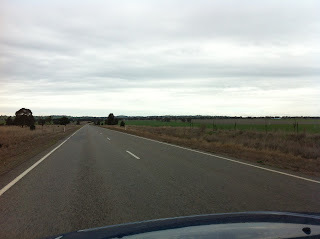 The view from the window on the way to Jerilderie and across the plains seem to stretch forever. On one side it was green from irrigation and on the other side it was grey scrub with the typical red sandy soil. 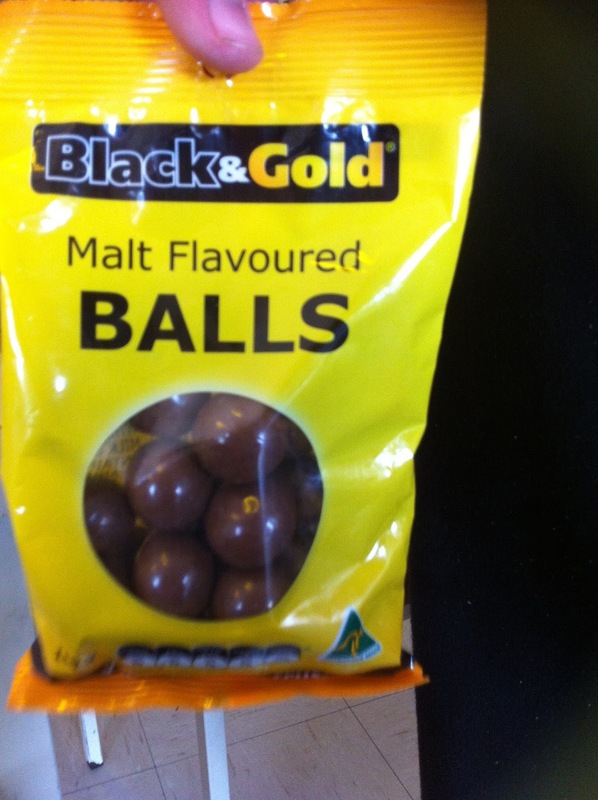 Tom was most disgusted that his Black & Gold Malt Balls he buys from our local IGA was almost twice the price at the IGA in Jerilderie. If i make the picture smaller it looks like a small bag and i don't feel like such a bad parent allowing mass consumption of fat and sugar. He is 16 though, guys! 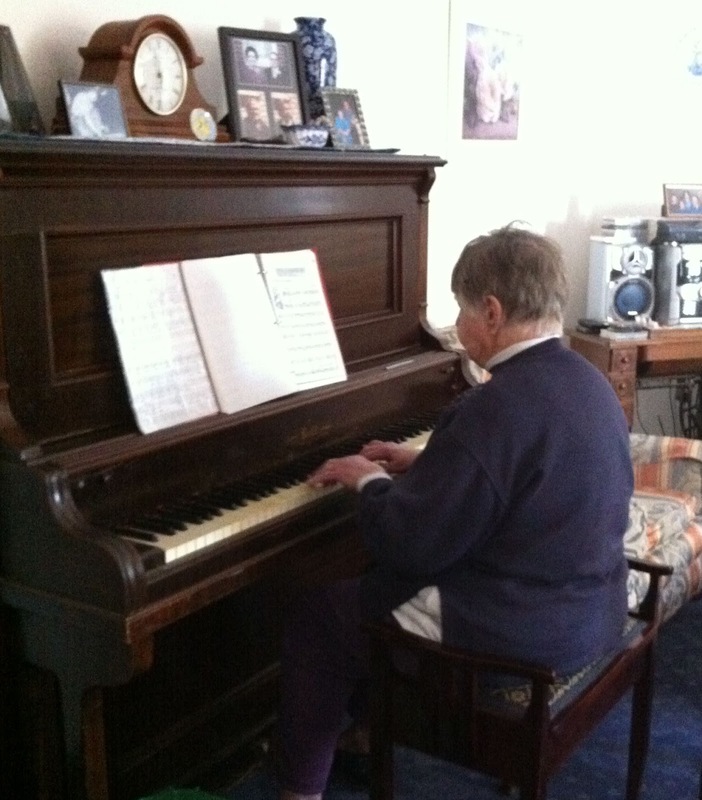 We arrived mid afternoon to a relieved Grandmother. 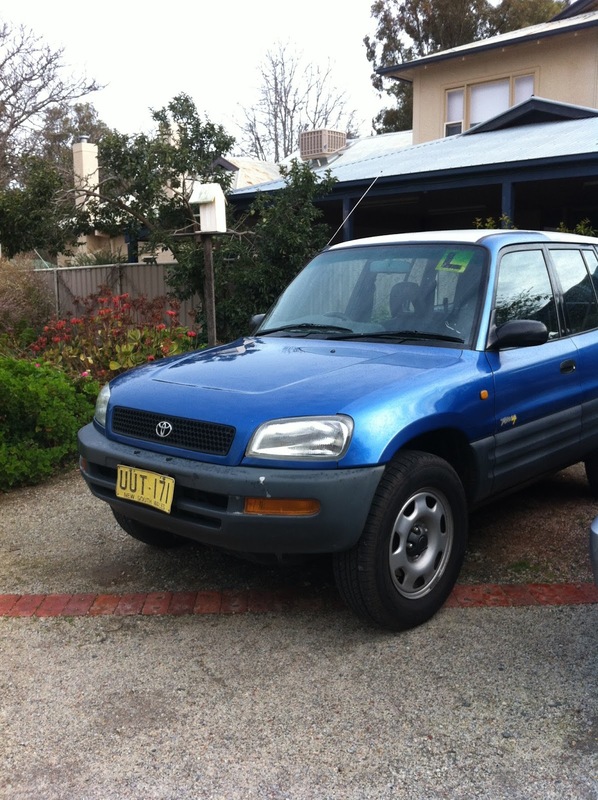 One, Tom has only been driving a month and Two, his little RAV4 is quite old and has done over 400,000kms. I know that sounds huge, but it has been well maintained and had quite a bit of work done on it. The only major concern is the front diff which we will be replacing soon. With the tyre noise and the knocking from the diff, we didn't bother with music and so just talked and looked around for the whole trip. I obviously drove him mad taking photos. On Wednesday, Mum had to go to Griffith for a pre-op appointment so we took off early morning and Tom got his first taste of fog. There is a regional airport out there somewhere. We have officially renamed Mum "GPS" for Grandma Position System. 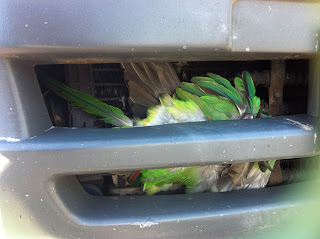 Poor Tom was given a constant flow of info on speeds, turns, traffic and directions etc from the back seat. Who needs to spend money on an electronic device, just take Grandma for a ride. Its OK to be cheeky now, I'm back in Melbourne and beyond the reach of her walking stick. The operation has been postponed till 19th and she has been told that there will be two separate surgical teams and she will definitely need a morphine button afterwards. She has been warned that there will be no gold medals for pain endurance and that she must use it. I think this has made her a little nervous. She is after all 83. 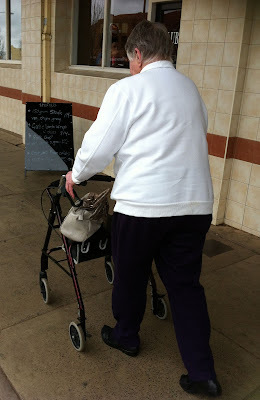 We took her a new walker, which i purchased on Gumtree, and she is getting around fairly well and doing her normal things, all be it at her daughters home, not her own. She is on a hiatus from playing the piano at the "oldies home" and at the Friday church service for "oldies". She did attempt to teach Tom to knit but he was all thumbs and gave in quite quickly. 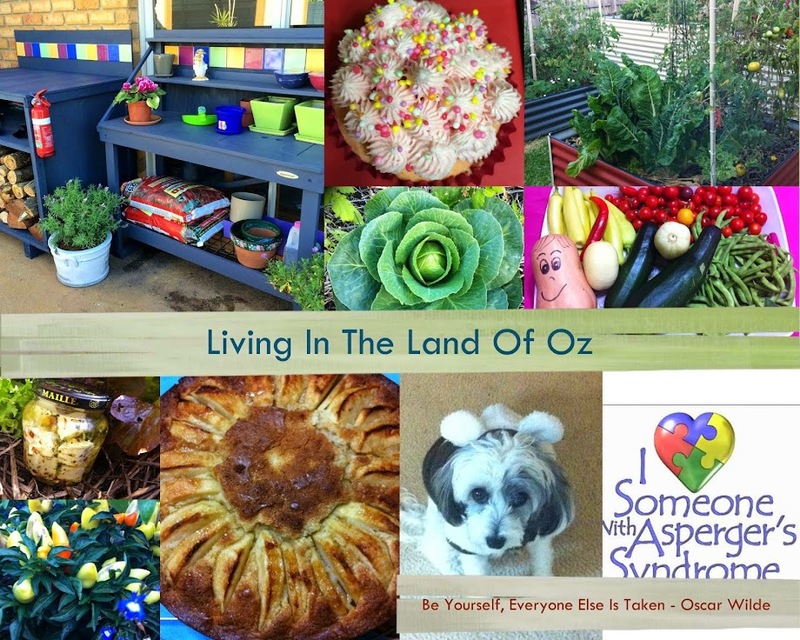 By Friday, Tom had completed a full word search and fill in puzzle book and so we got out of the house and went day tripping to Junee to visit the Organic Licorice and Chocolate Factory - stay turned for next post. 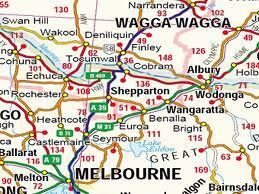 It was a couple of hrs away, again at 90kms/hr, and we passed through a few very small rural towns. 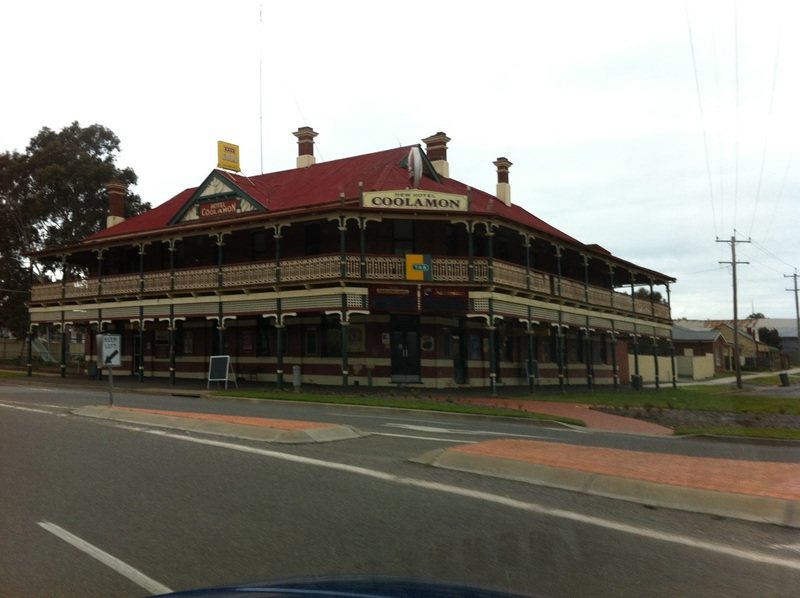 A typical rural hotel with verandas and iron lacework . Hotels are the meeting places for the farming communities and there would often be several in a town of only a few thousand. Hey Gav, check out all the solar panels on the roof of this tiny primary school. Tom's most enduring memory of the trip was killing this parrot. It flew straight into the grill and died. He was quite shaken and Mum had to pull it out. 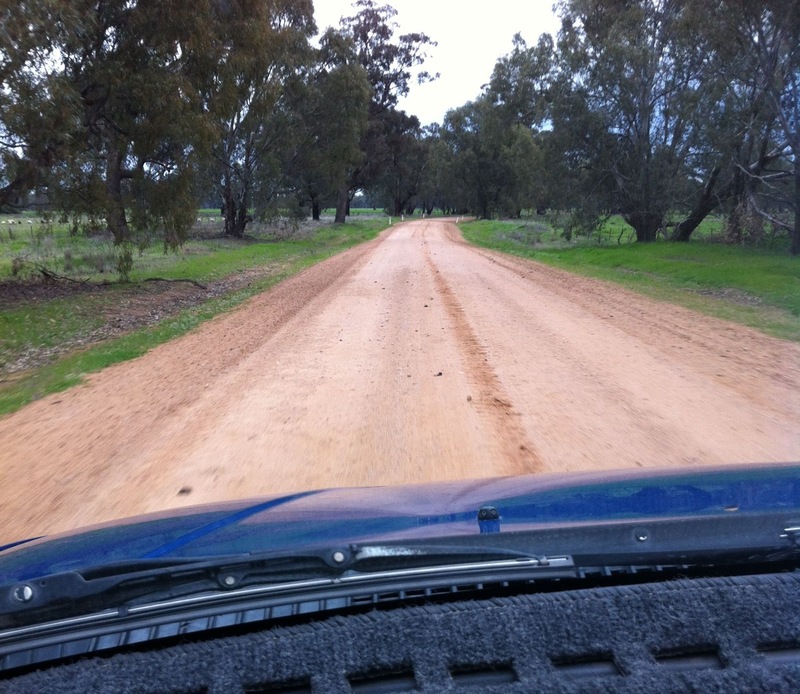 I guess the learning exercise with this day trip was to teach Tom how to drive on roads that are not always perfect. Damage from fully loaded grain trucks and lack of funds for repairs often mean that the roads are less than perfect and you have to drive carefully. I think his biggest issue was just maintaining a constant speed. He said the car doesn't like going at 90km/hr but its was probably more that his leg/calf was getting tired and couldn't keep still. As you can see some of the little communities are getting quite small. Young families are moving away for job opportunities in larger towns. 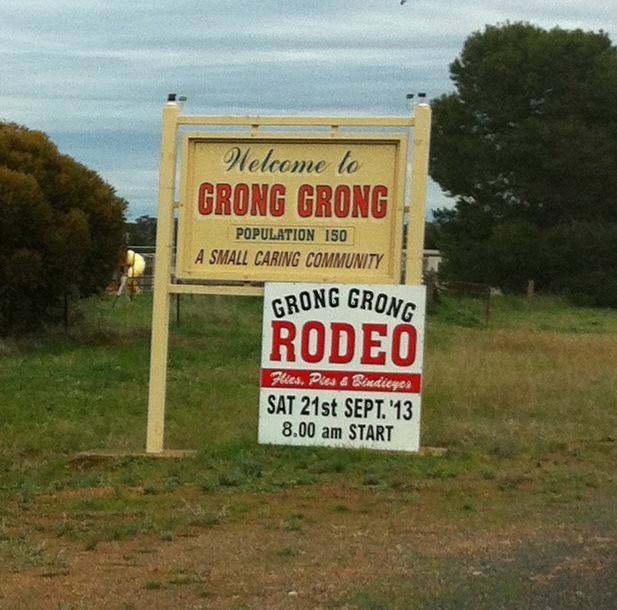 Grong Grong's primary school closed down a few weeks ago. 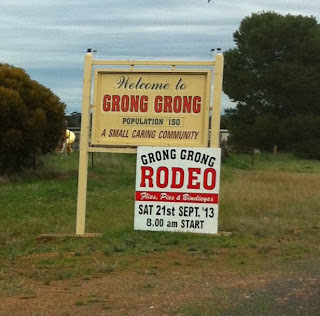 We turned off the bitumen road and took the back way to Narrandera from Grong Grong, about 20kms. Tom got his first taste of gravel. It wasn't in too bad a condition and it was dry so apart from a bit of loose gravel on the corners and a bit of corrugation to rattle the bones, he managed quite well. OK, almost finished, hang in there. This trip was promised to Tom when he was studying for his Learner's Permit so i have to get it all down for his own sake. Maybe one day when I'm old and elderly he will dig it out of the archives and take a look and ill use it has an example of why he shouldn't lock me away in a home. I'm storing up all the points i can get for later when I'll need them. 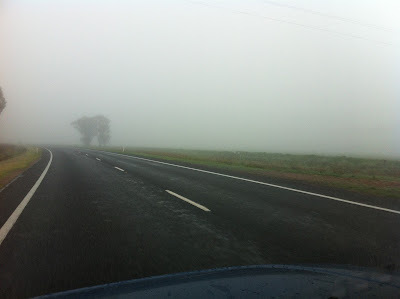 Today we left home (funny how i still call it that after being away 28 years - it drives my husband crazy) and came back via a more direct route, the Newel Highway which runs from Melbourne to Brisbane in Queensland. Once you cross the plains the road gets much better (or should i say, when you get into Victoria). 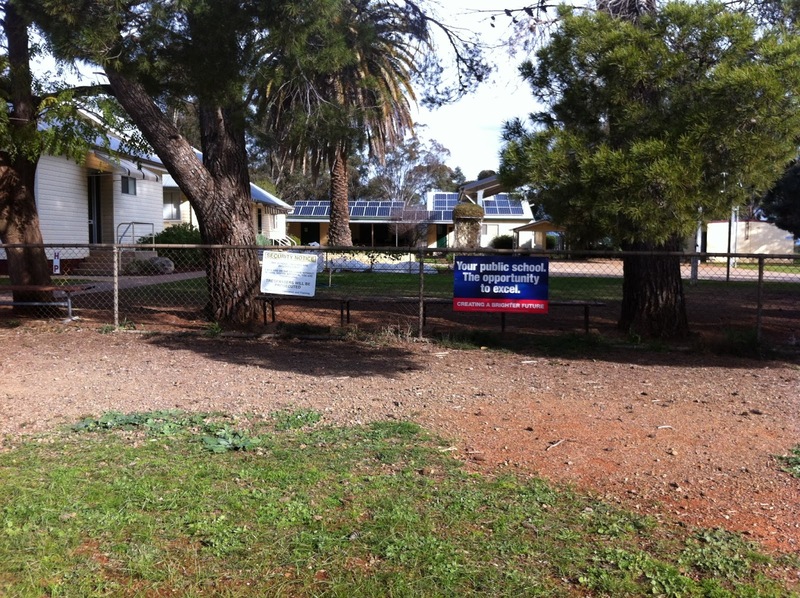 Our route took in Jerilderie, Finley (where i was born), Tocumwal, Shepparton, Numurka and then onto the Hume Freeway till we reached Melbourne. 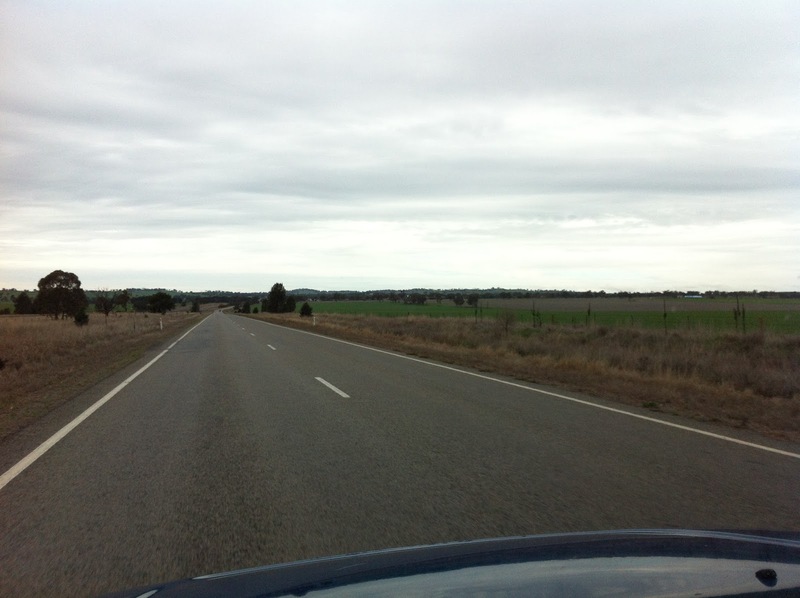 110km of nothing across the Jerilderie Plains. The mighty Murray River on the border. Once you cross the border you are into dairy country. I love the cool green pastures and the honey coloured doe eyed Jersey's. Friesians are OK i guess. Tomorrow, 11th is Dad's birthday so Tom really wanted to be home. So, here are the stats Tom - Congratulations. I think i only have just a few more grey hairs but also some good memories. I know you learnt a lot and i hope that it wasn't too uncool tripping around with Mum. Trip Total - 1,342 km 15 hrs and 25 minutes drive time. Total Hrs Logged since getting Permit on 5th July - 33hrs 49 min. Goal 120 hrs (almost 18 mths to go). Somehow i think we will make it. Total Night Hrs Logged since getting Permit on 5th July - 7 hrs 54 min Goal 10 hrs . Experience gained in all road types, in all weather with all traffic conditions. Well Done! 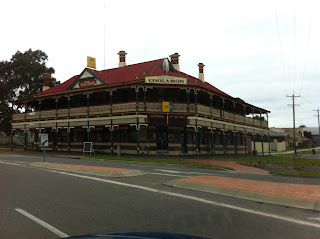 Stay tuned for next post on the Junee Licorice and Chocolate Factory - it was yummo! and very interesting. What a wonderful experience learning to drive, I love the part about Grandma in the backseat what a great gps lol. Thank you, I enjoyed the trip. Well done to Tom, I bet he really enjoyed it as well.